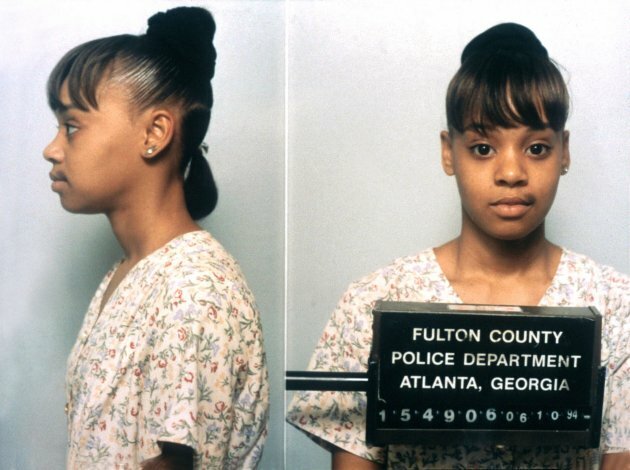 TLC LIT A fire under many a teenage girl in the 90s with songs like Creep and Waterfalls and many hearts were broken when one third of the group, Lisa ‘Left Eye’ Lopes, died in 2002. Now, the two remaining members have announced a reunion gig at an American festival this Summer, which has some people scratching their heads and others talking about holograms. It’s not clear exactly how the gig will work, but what we do know is that TLC are the most badass girl band of all time. Here are nine reasons why. They were together for two years but she rejected a marriage proposal from him, at which point he cheated on her and they broke up. They’ll ask for what they want whether they ‘need it in the morning or the middle of the night’. And are perfectly happy to replace one of the lenses in their spectacles with a condom for a live performance. Obviously there’s nothing cool about arson, but according to her he was abusing her and she started the fire as retaliation. It was actually only meant to be his runners in the bathtub but things got a little out of control. Left Eye managed to make a Melanie C song cool and edgy. Not like some other pop acts...*cough* JLS *cough*. And they weren't afraid to sing about a man dying of AIDS. Email “9 reasons TLC are the most badass girl band of all time”. Feedback on “9 reasons TLC are the most badass girl band of all time”.